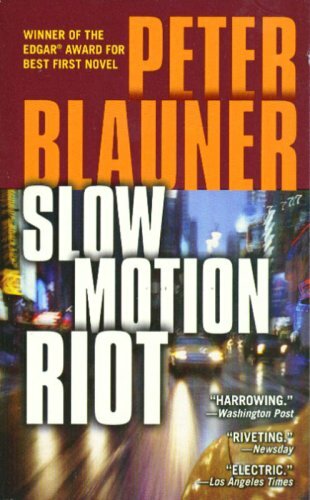 Blauner belongs to that group of writers who excel at honing the edge of large city life: it feels big, dangerous, and completely outside the control of any individual, much like a slow motion riot in fact. Originally published in 1991, this novel won an Edgar and was named a NYT International Book of the Year. Now, on the occasion of its publication as an ebook by Open Road Media, it is being reoffered to the reading public. For those of you who like your reads gritty and real, don’t miss it this time around. The novel opens in a Probation Office where an idealistic young man, Baum (or Bomb, as he is called by some), hopes to make a difference and tells of his clients--the felons and the misdemeanors. There is true madness here, and despair and confusion, and a withering boredom borne of ignorance. The story hinges on three of Baum’s clients, and one of his coworkers. In a series of chapters much like looking into separate apartments throughout the city, we are privy to the thinking and activities of these individuals, which gives us an insight Baum doesn’t necessarily share. We sense violence on its way long before it is played out. If a reader were to plot this novel on a contour map, one would see Baum pushing a large iron ball up a steep hill. There is gathering potential in the first, slower half of the novel. In the second half, the ball slips its constraints and rolls free. There is a crushing energy and destructive quality to the path of the story that will keep readers riveted, so stay on course to this critical juncture. Blauner calls his books social novels with an element of suspense. That sounds right. You will want to read what Blauner himself says about his own books, since his style is clear and he’s willing to share. He is deliberate in his choices and his constructions are not haphazard. It takes him several years to write a book, of which this is only the first. You may find you would like to follow him through his oeuvre, for he has chosen a distinct subject area that may be underserved in our literature. I note that Blauner says his books sold better in Europe than in America at first. This book was published twenty years ago, and while it is beginning to have some telltale signs of age, one could read it as current. In fact, the social consciousness of the young is arguably stronger today than it was then, and for this reason, it may be just the right dose of highly embroidered imagination for a young market. I recommend this title, or choose another of his later novels. This is an unusual writer who has something unique to offer, and it would be a shame to overlook him in the rush for the next bestseller. This is a western, set in the bush of Australia, featuring some very unusual characters, among them a Tasmanian devil, a platypus, a wombat, some wallabies, dingoes, bandicoots, and memorably, a raccoon from California. Strange though it may seem, this is not a book for children, nor is it a story written by an Australian. Together, all these facts weave a wonderfully strange allegory of life’s circuitous journey to happiness and fulfillment and some measure of wisdom. When a book appears outside of the usual genres, it must be difficult to market. But my favorite reader/writers have been raving about this book since its arrival on the scene in the summer of 2012. And so it goes by word of mouth, and I add my own to the paeans of praise. Many bad things happen, but there are good things, too. “Old Australia” isn’t quite what Albert imagined, but he’s made some friends and sometimes he still dreams of finding a shady riverbank populated by friendly platypussies. Life is a journey, and in this, we travel along with a thoughtful, civilized life form, slow to anger but fierce in vengeance, who can tell a story that makes us see what we might have done better when we ourselves came upon a band of marauding wallaby, terrorizing dingoes, or facing down the brown snake in a cave or in our office. We come to admire Albert, and wish him well. We’d like to know him, and sit about the campfire trading stories. What more can we ask of fiction? A word about the author: he is American who has lived as a general roustabout, a perfect background for a writer. He is currently working in New Mexico as a public defender, where he represents people from Mexico charged with crimes north of the border. He is one of the living writers I’d most like to meet. When an author tries something completely unusual, and succeeds, we need to take notice and support them in their endeavor. Buy this book. You can pass it on after you’ve had a chance to ramble the Outback. Elena Forbes was a new name to me when I began this first-in-a-series police procedural, though the name Forbes had some resonance. The author managed to create a worthy group of characters that escape being mere copies of their more famous forebears by being younger and more attractive than we usually see among the British and Scottish captains of storied police forces, but just as capable and job-obsessed. The first chapter and synopsis of this mystery were shortlisted for the CWA John Creasey [New Blood] Debut Dagger in 2005 but forgive me reading public, if I admit I put the book aside after reading that first chapter. But resist this temptation! After the creepy first chapter we are introduced to some successfully realized and interesting characters we can care about: Detective Inspector Tartaglia who doesn’t want to get involved with women who are not emotionally available; a female colleague of his, DS Donovan, who is interested in being involved with a man but doesn’t want to search for one; a police captain Steele (acting Chief Inspector) who is too attracted to an outside contractor whom she hires for more than one job. Forbes manages to land us in the characters’ lives midstream: they share a past and already have a history…we just need to get on board a ship already in motion. The central conceit is unusual: a serial killer preys on Catholics who wish to take their own lives. To do this, they must overcome their feelings of guilt about it. [I am permitted a snicker of complicity here, as I have overcome my Catholic upbringing.] The killer enjoys their desperation and helps them accomplish their goal even if they should change their minds. The victims are mostly young women, which makes the police look into the cases more closely. The final scene was also troublesome, but I imagine every first-time mystery writer encounters these difficulties: how to begin and how to end are both equally trying. Overall, Forbes has a strong sense of story and character, and very good potential. I look forward to seeing Our Lady of Pain (Quercus, 2008) and Evil in Return (Quercus, 2011). Peter Mayle was not a novelist first, though by now he has probably spent more time at it than at his earliest employment in advertising. He is a man of many talents who writes to stay amused, one imagines, and to keep a crust on his table. Perhaps we should be thankful to him for sharing his time and stories with us, for he is clever and cogent and observant of his fellow man--especially his fellow French man. One imagines him to have a wide circle of friends and he no doubt takes advantage of opportunities that come his way from among his even wealthier and/or less judicious acquaintances. For the most part, he leaves judgment of political correctness to us. This novel is a bit of lighthearted fun, set in sunny Marseilles. We are treated to descriptions of bistros and menu offerings, nearby towns and vistas. We see some of the byzantine calculations that go into town council approvals for seaside developments, and enjoy the totally ridiculous and over-the-top attempts to savage competitors working on the same projects. If I say the the book feels weightless, it is perhaps because the novel is meant to be entertainment alone. If I felt it retrogressive--a return to less environmentally aware time of outrageous spending and revolting excess--that is perhaps because I have seen the result of massive inequalities in earnings and it no longer amuses me as much--at all, really. But I still like Peter Mayle (who could not, really?) and look forward to a time when he again writes something with more depth. I should mention that Mayle's central character chose low-impact designs for a Marseilles seaside development and in this way he is more "current" than his competitors, but the tone of the novel still felt old-fashioned. Low-impact designs are not particularly a new thing, though I guess the point is that approvals in Marseilles are still mired in pre-revolutionary France. I listened to the audio of this book, read by Robin Sachs. Robin Sachs is wonderfully talented and experienced, but his American accent sounded a little like James Cagney or Humphrey Bogart...contributing to that old-fashioned feel. The whole thing felt like a throwback to an earlier time when reading about wealthy folks was more fun. Alen Mattich’s first of a series may just be the most fun since Tarantino’s movie Reservoir Dogs hit the silver screen. 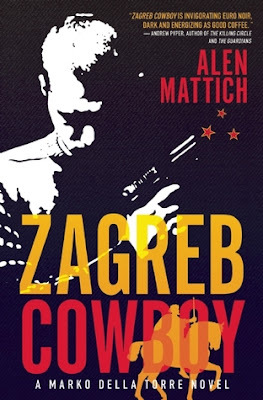 In Zagreb Cowboy , the security landscape during the breakup of Yugoslavia into Croatia, Bosnia-Herzegovina, Serbia, Slovenia, Kosovo, Montenegro (did I miss anything?) is more than a little farcical, with teams of security personnel following each other, carrying Bulgarian knock-offs of Berettas that misfire with ammunition that doesn’t kill. When it makes financial or political sense, the pursuers will align with the object of their pursuit against a third team in a constantly shifting series of pas de deux. Mattich gets the tone just right by creating a series of hapless but sympathetic characters--some more sympathetic than others—who are less zealous defenders of the political realm than they are working men and women finding ways to keep body and soul together while stoking dreams of emigration. I don’t think anyone actually get killed, though there is plenty of shooting going on. There is much praise given to German engineering and the civilized British lifestyle, comparing everywhere--Italy, Spain, France, and America--more favorably than home. Strumbić had around twenty rows of vines, along with fruit trees, mostly plums and pears, which he picked in the summer, fermented, and then cooked into a potent spirit alcohol. And then there was the ancient cherry tree that turned the ground purple with its juice in August. The house itself was built on top of an old wine hut. The thick and roughly made concrete-and-stone walls now formed a self-contained ground-level cellar, where Strumbić matured the wine he made from his own grapes, distilled his spirits, and hung cured hams and salamis that he bought from the local villagers. Above the cellar was the house he’d built, one full storey under a steeply pitched roof. In all there was a large sitting room and balcony that looked out over the valley, a kitchen, a bathroom and two bedrooms, one of which Strumbić used as an office. But mostly when he was there, Strumbić sat in the cellar or at a rickety table by the side of the house under the huge cherry tree’s canopy. It was an idyll…and [our hero, della Torre] always looked forward to invitations there. A second book in the series, Killing Pilgrim is due out in the fall of 2013, but do take a look at this while you are waiting. An interview with Alen Mattich. Harry Hole has interrupted his his three-year sojourn in Hong Kong (where he says he resided at Chungking Mansions) to return to Oslo's Hotel Leon. Sporting a facial scar and a titanium finger, Harry is sober and has renewed contacts with Oslo's police force. Oslo has changed and not: there is a beautiful new Opera House but street drugs are still ubiquitous. This has to be one of the best of the series so far—Harry manages to save himself from drug lords using his titanium finger in one instance, and an empty bottle of Kentucky Bourbon in another. Harry fills out his photo album with pictures of his estranged family that we became familiar with in The Snowman: step-son Oleg now has grown up, but has fallen into drug addiction. Rakel is the same but may be moving on in his absence. His old nemesis at Crepos is making hay without Harry to keep him honest. Everyone is older, wiser, scarred. It is to get Oleg out of the clink that Harry begins to investigate the death of a young street pusher, and what he finds nearly kills him. Nesbø does a great job with characterization and motivation with this #9 in the series, and leaves this reader wondering if the next fight Harry picks will be his last. Some books just hit a nerve, as this did in Scandinavia where it became a bestseller when it was first published in 2004. Just republished in English by Canada's The House of Anansi, this hilarious comic novel about a worthy man's mid-life crisis is destined to be a huge hit in North America. Just about everyone I know needs a copy of this--for its humor, insight, and recognition of our commonalities across national boundaries. Our narrator is Doppler, a man confused and unmoored by his success. He rails against the Americans for having the temerity to begin a controversial invasion of Iraq while he, busy executive that he is and all, is having his bathroom redone. How on earth is he supposed to concentrate on tile choices? Trust someone to do something truly disturbing just as he is wishing to enjoy the spoils of his wealth. Mad for cycling (“as a cyclist you’re forced to be an outlaw”), he falls off his bicycle in the woods one day and hits his head. He decides he doesn’t (and perhaps never had) like people. And he is much too nice. “Even when I’m alone and I’ve decided not to be nice, I’m nice. It’s a sickness.” He decides to straighten out his priorities and heads for the woods. 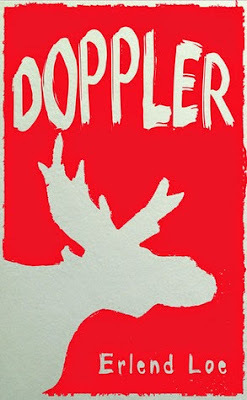 I loved this short novel from its opening pages, mostly because Doppler is so very nice, and civilized. It laughs at the human condition while demonstrating that indeed we can’t really escape ourselves or each other. Perhaps this novel could only have been written by someone who’d experienced the angst and ennui of affluent society, and may only appeal to the same. I found it utterly refreshing and reassuring to find such high-minded humor in such a small package. A word about the publisher: The House of Anansi Press is fast becoming my favorite press-to-watch for really fine, accessible selections of recent foreign-language literature translated into English. I did not know this was a book of poetry when I ordered it. It was on someone’s very interesting list of “Best Books of 2012” and I thought I’d heard the name of David Ferry, but I couldn’t remember where. On Christmas morning, I rose much earlier than everyone else and felt I’d received a very special gift when I pulled out this slim volume to read with my coffee. Then I remembered where I’d seen his name: on the most popular translation of Gilgamesh at my local bookstore. David Ferry is a learned man who wears his erudition lightly. His understanding of humankind feels deep and ancient and he can write as piercingly of the men of myth as he does of the homeless adrift upon our streets. The vulnerability he reveals in his poems leaves the reader breathless; the depth of his knowledge leaves the reader grateful. I found myself following threads and searching names, recognizing phrases and oft-told stories, lost in the glory of his well-chosen words. After, having made some connection with ancient souls, I was ready to participate in the pageantry of my holiday. 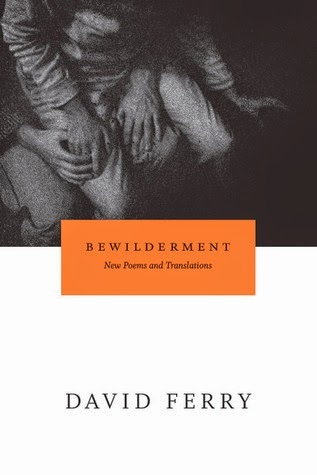 In this collection, Ferry gives us new poems, translations, and poems written in response to the work of other poets. It is a delight from start to finish. A beautiful thing is "Dedication to His Book" by Catullus I, to Cornelius Nepos, or Cavafy's "In Despair." These words are better seen than not seen. But listen, first, to David Ferry reading "Soul", the poem from which he takes his title. And read of bewilderment by another name: "That Now are Wild and Do Not Remember." David Ferry won the 2012 National Book Award for this collection. The University of Chicago Press deserves kudos for the beauty of this volume and the quality of the printing.